The POV Dispatch is our Autodesk internal newsletter, published monthly, where we discuss the big ideas that are important to us and our customers. It is published by our Corporate Strategy & Engagement (CSE) team of which Autodesk Labs is a part. Jon Pittman is the VP of Corporate Strategy and leader of CSE, so it should come as no surprise that Jon routinely makes submissions to issues of the POV Dispatch. Jon has also been a Lecturer at the Haas School of Business of the University of California at Berkeley. Jon contributed this article to a recent issue, and it was popular among employees. At Autodesk, we often hear that customers love our products but hate doing business with us. Have you ever wondered why that is? Might it have something to do with how we deliver our products to our customers? 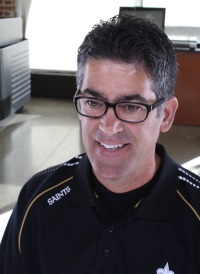 Jeff Kowalski, our Chief Technology Officer (CTO), spent most of his career as a technologist building products. Early in his career, he never thought much about how products got to customers, and imagined that he'd just put the gold master disk under his pillow and the distribution fairy would take it away in the middle of the night and get it to customers. Shortly before he became CTO, he did a stint running Autodesk's subscription business and joined the part of the company that actually did get our products to customers. He says he felt like he had entered the world of Morlocks (http://en.wikipedia.org/wiki/Morlock), fictional creatures from H.G. Wells' The Time Machine who lived underground maintaining ancient Victorian machines that they may or may not have remembered how to build. This part of Autodesk was like a separate world with its own language — often using obscure acronyms like SKU, COG, ASP, BOM, EBA, ESD, ESSO, GRP, GNUL, RTM, PSR, QTC, and VAD (a veritable obfuscational alphabet soup) and was governed by a powerful document — the price list — that defined, much like a constitution, what a reseller could or could not sell. He had entered the realm of "the back office." After a little while, actually, Jeff found that the people who designed, built, and maintained the back office were not Morlocks, but rather dedicated, talented professionals who were tasked with maintaining systems and processes that had been built for one purpose and were now being asked to serve another one. The back office machinery was designed to take individual discrete products (Revit, Inventor, AutoCAD, Maya...), put them on distribution media (floppy disks, CDs, DVDs, and USB Sticks), package them in attractive boxes with manuals and logo images on the side, ship them to distributors and resellers who sold perpetual licenses to those products, and — when a customer bought and installed them — authorized the products for use. This back office machinery was designed, built, and refined for this purpose over many years. Currently this machinery is very interdependent with other systems, such as our financial reporting systems, sales and business processes, methodologies, and policies, as well as things like regulatory tax constraints. Our back office was built with a very transactional mindset — perfectly appropriate for its time, but less so today. Think about how different Autodesk is today from what we used to be — and even more important — how (even more) different we are becoming. We're moving toward subscriptions, cloud services, electronic software downloads and updates, trials, and a diverse variety of sales mechanisms (from direct to e-stores). Our consumer business has led the way with things like apps, micro-transactions, and in-product sales. None of these things were envisioned when we built our "back office." What's more, we now know we need to move away from our transactional mindset with customers, and instead focus on nurturing them and ensuring that they are successful. This is different terrain for Autodesk. One consequence of this change is that the clear separation between our products and the mechanism to deliver those products no longer exists. Our products and our delivery mechanisms are deeply intertwingled (see intertwingle) and can no longer be separated, as we enter the world of trials, subscriptions to our entire product set, flexible enterprise licensing schemes, and cloud services that we sell based on usage. The challenge we're facing now is that some of the "back office" mechanisms that we originally built for a physical distribution pipeline have now been thrust into the foreground. Furthermore, while we might still see the software and the sales/distribution mechanisms as distinct, our customers do not. They see purchasing, receiving, licensing, installing, activating, and using our products as one single, continuous experience. We should empathize with them and start to view our products and their distribution mechanism as one holistic experience. Given these changes, it's time to rethink the whole idea of "the back office," and reframe it as "the front lobby." When our customers "enter," Autodesk, we should greet them, take them to some comfortable chairs, and help them understand what offerings are available to them. We need to make it easy to try, buy, use, and manage our products; and the machinery should support that relationship, not impose a transactional, mechanical feel on it. At a recent meeting of senior leaders, we identified the back office as one of the key things we have to get right. That is important because it heightened our awareness of and need for alignment around the importance of getting our business systems and delivery mechanisms synched up. In fact, the more profound insight was the need to stop thinking about those mechanisms as back office plumbing, and more as essential elements of the front office experience, in other words critical to the total customer experience. Recognition of the importance of this change is good; it means that we will align and apply resources to the problem. But changing our perspective from "back office" to 'front office" and "holistic experience" is even more important; it does not require resources, but something more precious — a change in mindset. So let's create the new front lobby for Autodesk and our customers. Morlocks are alive in the lab.